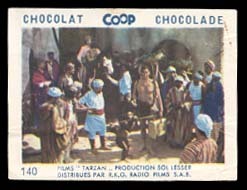 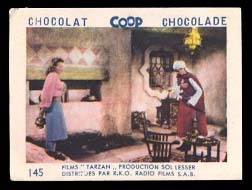 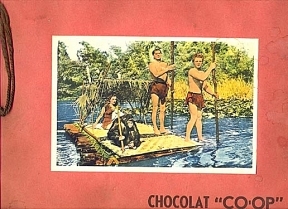 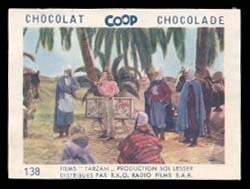 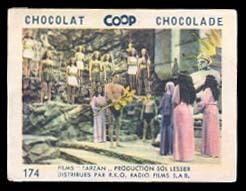 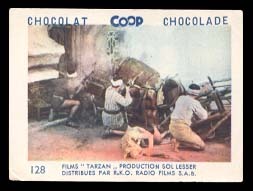 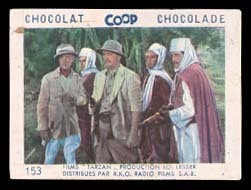 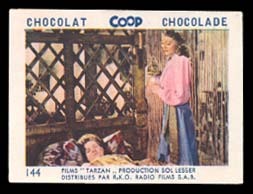 These 2.2" x 3.1" cards were issued in Belgium by Coop Chocolate in the late 1940s. 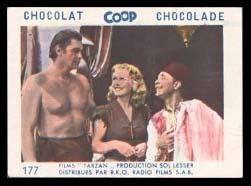 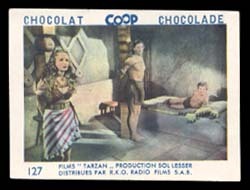 They are from a large set of picture cards showing scenes from the Tarzan movies starring Johnny Weismuller (Tarzan), Brenda Joyce (Jane) and Cheetah the monkey (as himself). 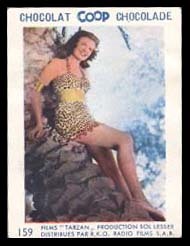 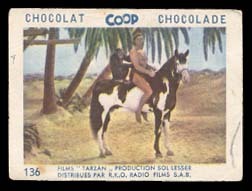 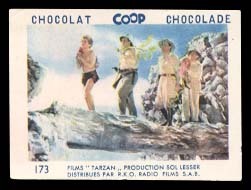 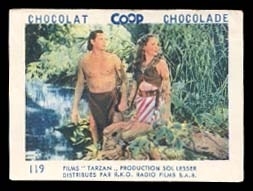 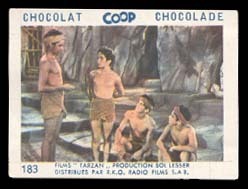 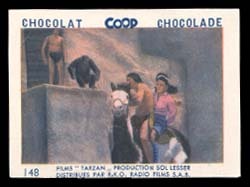 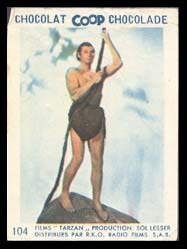 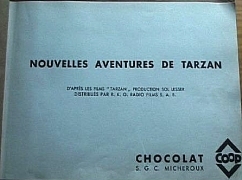 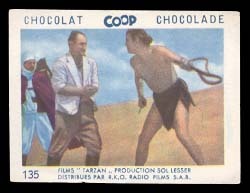 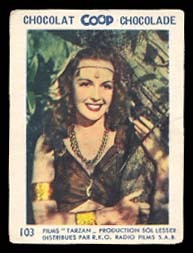 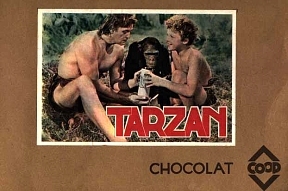 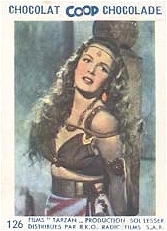 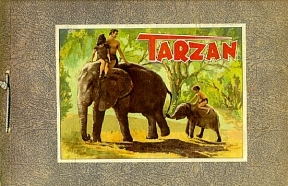 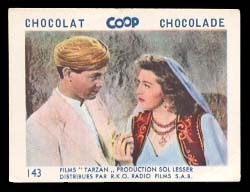 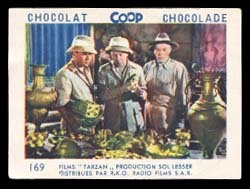 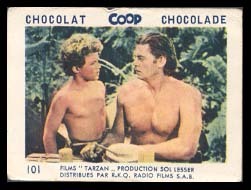 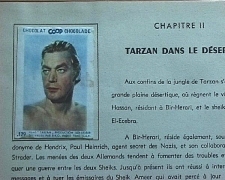 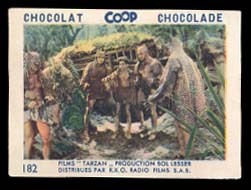 The front of the card shows a photographic type image of Tarzan and Jane, while the back of the card is blank. 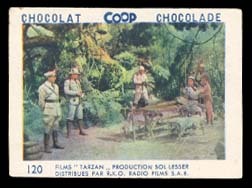 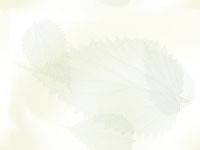 The cards, printed on thin stock, were given as a free premium with the purchase of chocolate. 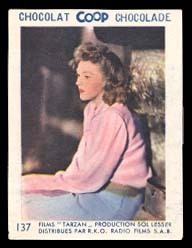 There are 3 books containing 100 cards each. 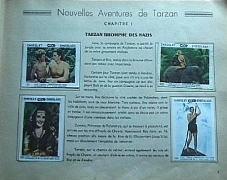 Because they were made in Belgium, the books and cards were produced in French and Dutch (so 6 books were produced).